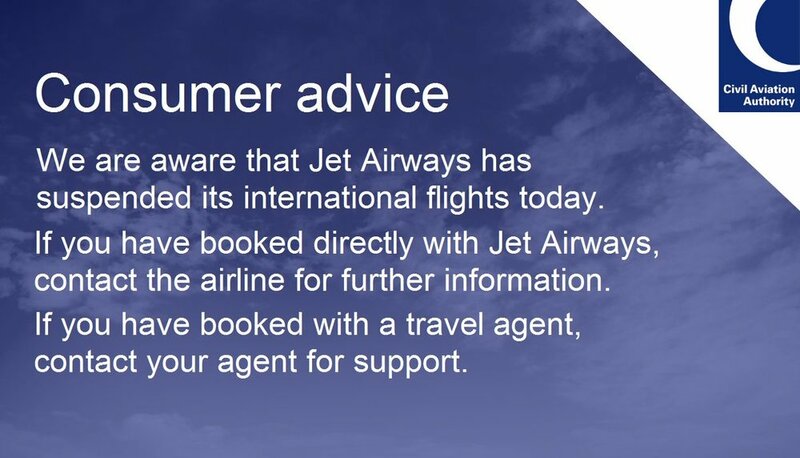 The Uk Civil Aviatrion Authority said in a Twitter message: We are aware that #JetAirways has suspended international flights today. Booked directly with Jet Airways? Contact the airline: http://ow.ly/dycF50pYuRv Booked with a travel agent? Contact your agent for support.